This is an Everyman edition from the ’50s (reprinted in 1963) and it has a curiously ambivalent introduction by R. A. Knox, a friend of Chesterton known to have some pretty fixed ideas about what constitutes proper detective fiction. 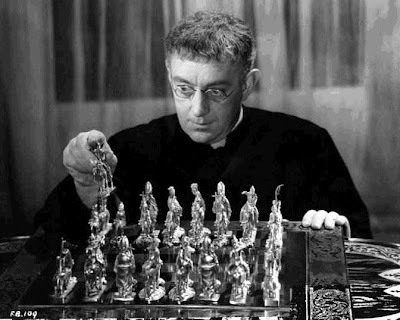 Of the Father Brown stories he says, ‘the didactic purpose tends to overshadow, and even to crowd out, the detective interest’ (p. xvi). By ‘didactic purpose’ he doesn’t mean (as I first imagined) that Chesterton uses the stories to impose his Catholicism on his readership. One of the best stories here, ‘The Blast of the Book’, delights in making us think that a supernatural solution is inevitable, before elegantly pulling the rug out from under us. Drawing perhaps on M. R. James for the diabolical item, the book which must not be opened (but who can resist?) and having a side swipe at Conan Doyle’s Spiritualism into the bargain, Chesterton gleefully has his unassuming Catholic priest explain his lack of foreboding: ‘You see, I am not superstitious’ (p. 340). Maybe I don’t care enough about the integrity of detective story plots, but this strikes me as unfair. Many of these stories achieve their effects through mistaken identity, and it doesn’t seem at all beyond the bounds of reality (let alone Chesterton’s skewing of it) that a criminal might want to disguise himself by posing as a postman or a waiter. If a moral point is being made that such people are unjustly ignored, what of it? And if clues are left undeclared, what of that? The atmosphere is the important thing. it may reasonably be maintained that a detective story is meant to be read in bed, by way of courting sleep; it ought not to make us think – or rather, it ought to be a kind of catharsis, taking our mind off the ethical, political, theological problems which exercise our waking hours by giving us artificial problems to solve instead (p. xv). This collection doesn’t quite give us the Forster of the novels. There are elements of the familiar voice: the snobbery in the air, the foreign travel, the moral certainty that such and such a character is in the right, although neither society nor any other individual can see it. Most of the stories here deal with escape from intolerable social or class-based situations, often into death, and what lies beyond that. A free spirit will feel suffocated, and rebel. But Forster’s imagination, turning on the same themes, comes up with expressions based not on realism, but fantasy. The opening ‘The Story of a Panic’ reminded me a little of M. R. James, with its sleight-of-hand terror. A group of holidaymakers in Italy all at once become ‘terribly frightened’ (p. 11) and run down a hill into a valley, leaving behind Eustace, a schoolboy who thenceforth behaves as though he is possessed. His main adversary in this, the one who tries to keep him in check, is the story’s comically straight-laced narrator. The odd effect of the vagueness on the one hand, and the precisely drawn condescension on the other, is to give the impression that Eustace, who clearly wants desperately to get away from something, is on the run from this very condescension. Evelyn escapes from the man who has prevented this, who would get in the way of her natural vivacity with his pretensions, by turning into a tree. This story finds itself echoed in ‘The Road from Colonus’, in which an old man narrowly escapes being crushed by a tree when he is only just persuaded by his party that he shouldn’t spend the night at the doomed ‘tiny Khan or country inn’ (p. 132) which has so taken his fancy. He believes that staying there will undo the terrible malaise into which his old age has cast him, and his escape is not at all a happy ending (unlike Evelyn’s) – curious, then, that it should be the final ending in the book. 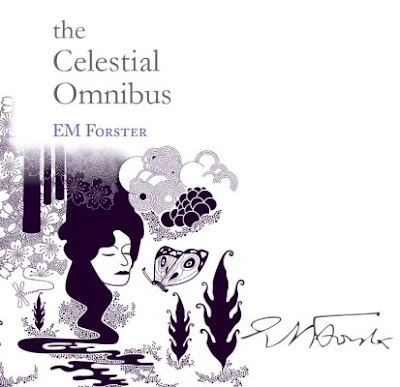 ‘The Celestial Omnibus’ is a more concentrated attack on literary pretension (pitting it against – guess what? Youthful vivacity! ), and suggests rather splendidly that up in heaven Achilles and Mrs Gamp are side by side, seeing round visitors. It feels odd, reading in Forster what you’d expect more in an E. Nesbitt book, or even a Harry Potter (the platform you can only reach by running through a wall is similar to the omnibus’s blind alley stop). Or, as I’ve said, an M. R. James story. He brings his purpose to bear, however, and manages to make this collection a light-hearted meditation on the soul in polite torment. Business as usual, then. Runaway is obvious, Carla runs away from her husband Clark; their pet goat Flora does a parallel disappearing trick. There are more runnings away in the stories which follow, most obviously in Silence and Passion. Chance refers to a meeting on a train which leads to a relationship. Soon means the proximity of death, and the nagging desire to see family members who live far away. Silence reflects what happens when this nagging desire goes unfulfilled. Passion contrasts a sensible love affair with some reckless behaviour which, whilst it spoils everything, is truer to the natures involved. Trespasses invokes a fairly horrific emotional blow dealt by a family to a single woman. Tricks marvels at the fairy tales people will weave to keep themselves happy, and the slender margins which can thwart them. This was my favourite story. Powers are psychic powers. While they seem to have some currency in 1927, when the story begins, they have been completely devalued by the 1970s.